Happy Tuesday! I skipped my updates via webpage last week, and I apologize!! But I’m back, and here with my theme for this week and an official announcement. If you want more details on anything below, check out my Facebook Page for the LIVE I did last night (and that I do each week at 8 PM EST on Mondays)!! **P.S. If you haven’t read Protected, and would like to snag the first 2 chapters for FREE AND sign up for the Monthly Newsletter at the same time, then this is the link you’ll want to use: http://bit.ly/2EgYs1r. So, there you go on the Official Announcement! As I have mentioned in other topics and posts, a LOT happened to me personally in between the release of Awakened and the release of Sacrificed. Not just that, but the style and way I approached Sacrificed was completely different from both Protected and Awakened. For the first two books in the trilogy, I sat down and wrote them from start to finish … no outline, no set plan, nothing!! With Sacrificed, I had the beginning written, and I had the end written. The problem was working backwards and figuring out the middle. I did not like writing that way! Haha. It was something I learned about myself during the hiatus and my writing journey — I work much better going from beginning to end!! 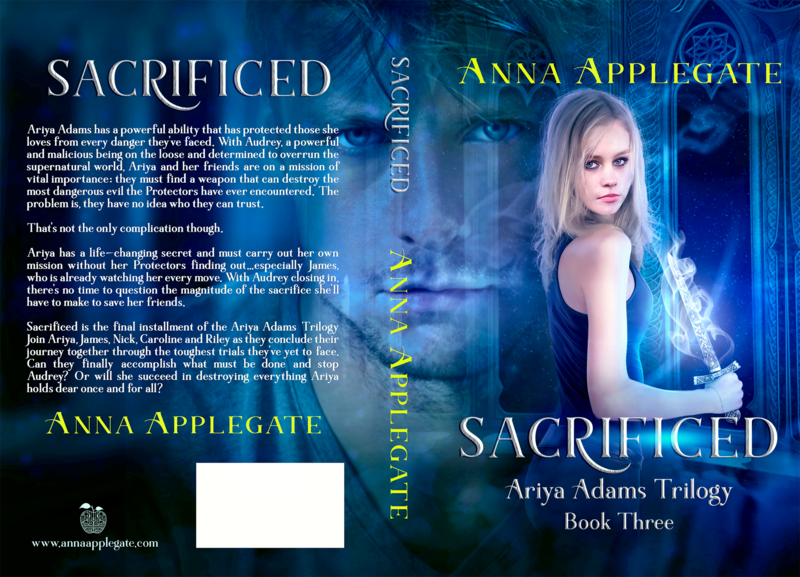 But, it all worked out in the end because Sacrificed is out and the Ariya Adams Trilogy is complete. Have you had a chance to read it yet? What are your thoughts? I’d love to hear from you!! Stay tuned this week as I’ll share more behind the scenes information on the third and final book in the Ariya Adams Trilogy. And pay close attention to my Facebook & Instagram pages on Wednesday for a giveaway announcement & opportunity!